The concept of Anand Vihar originated when two good friends envisioned creating a community where their parents could enjoy a vibrant, yet serene lifestyle in a close-knit community, while living in the best retirement city in the US. We are passionate about creating a strong, supportive community with excellent amenities. We promise to provide you with quality, value and peace of mind. We have a highly skilled team with over 60 years of combined experience. We care about your new community, and look forward to creating this special place for you. Anand Vihar is the premier 55-plus community in the United States. Our mission is to create a close knit active adult community where you feel right at home from the first moment you arrive! Anand Patel is the president of the residential brokerage NextHome Discovery. As Director of Anand Vihar Sales, Mr. Patel interacts with hundreds of active adults throughout the US and the world as they look to make Tampa Bay and Anand Vihar their future home. Born in New Zealand but having spent most his life locally, Anand, his wife and two children proudly call Tampa Bay home. 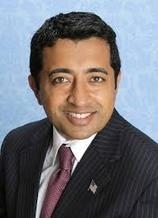 Mr. Govindaraju is a Tampa native, and a graduate of the prestigious Wharton School of Business. His company, Convergent Capital Partners, has invested over $500 million in real estate projects since 2008. His wife and three sons are actively involved in the Indian community in Tampa. Santosh and his wife both volunteer as sevaks of the Tampa Chinmaya Mission. Mr. Isenbergh brings a wealth of building experience to Anand Vihar. He is an award-winning builder who has been involved with over 40 major real estate developments in Florida. He has built over 3500 homes, most recently 1700+ homes in Tampa Bay. His family relocated to Tampa in 2000. His two children attend high school here, and he and his wife founded a charter high school for exceptional children. 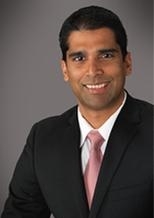 Dr. Nallamshetty is a Florida native and has been an active member of the Tampa community for over 10 years. He is the president of a leading medical practice, but is also an entrepreneur at heart, supporting numerous technology and health care start-up companies. He is part of the leadership of USF Medical School and multiple hospitals in Tampa Bay. His wife and two sons love living in Tampa and spending time with their parents, future residents of Anand Vihar. 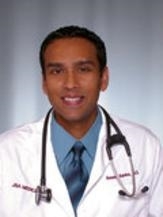 Dr. Sanka, a native of Philadelphia, has lived in Tampa for over 10 years. He is a physician and avid traveler, who enjoys spending time with his wife and their two children. 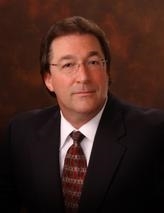 He was recently honored for his medical services, and recognized as a top physician in Tampa Bay. He looks forward to his parents moving to Tampa and joining the Anand Vihar community.